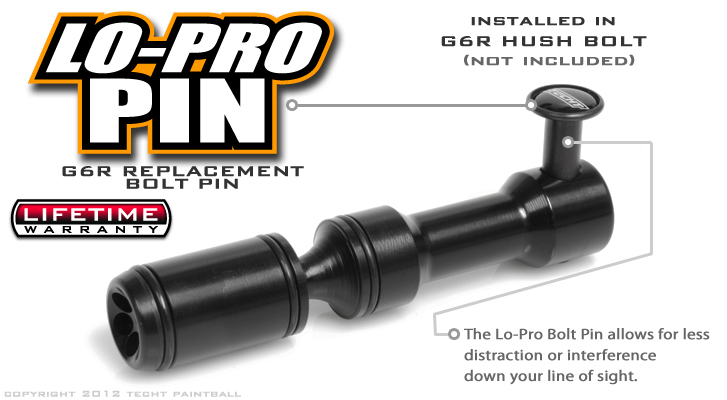 The TECHT Lo-Pro Bolt Pin for the Bob Long G6R allows players to replace their stock bolt pin with one that has a much lower profile. Players had expressed to us at TECHT that they would like a replacement that would not obstruct the view down their line of sight to the degree that the stock pin does. The other request was that we make it black. Done. 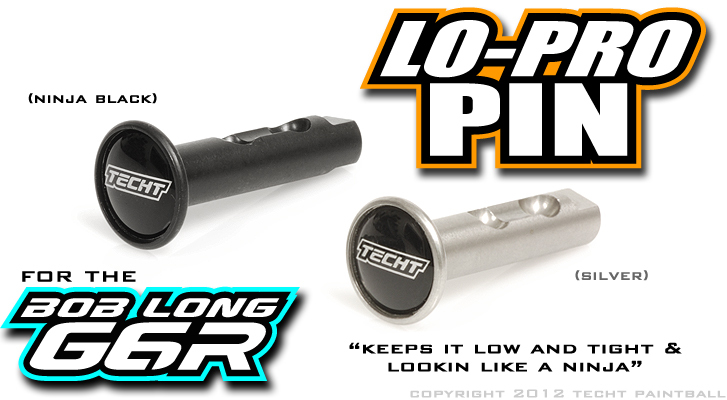 The TECHT Lo-Pro Pin is made of 100% Stainless Steel. It is available in both Ninja Black and Silver. Pair the Lo-Pro Bolt up with our Hush Bolt and our Zero Ping Ram for a Silent Ninja Killing Machine. 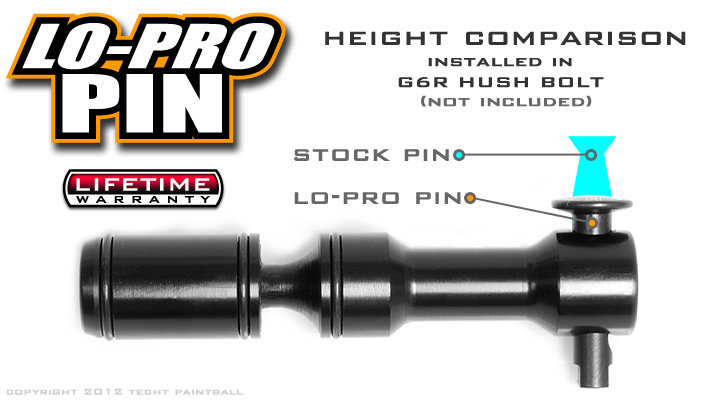 The TechT G6R LO-Pro Pin Black for the Bob Long G6R takes an already great gun and makes it even better.